I've done many reviews on this case on numerous platforms and I just cant talk it up enough. I originally purchased it because it was the cheapest white case with a large side window that I could find besides a couple of Newegg brand cases with basically no reviews. Man I sure am glad I did. 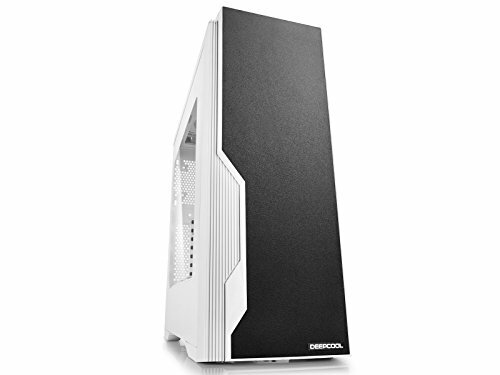 Even though this is a relatively inexpensive "budget" case, it might end up being my main rig case for a while unless I can find a great deal on a nice Phanteks case. If you want to see my full review check out Amazon or Newegg where both of my reviews are among the top ones listed. Very nice case for the money. weird blue LET (hyper white if you want to call it) case fan. didn't use it. I have mixed feelings about it. 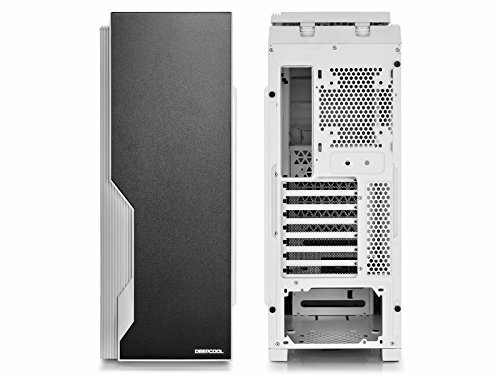 The case feels strong and durable, I was very surprised by the thickness of the metal. It came with a nice coat of glossy white paint that feels very high quality. 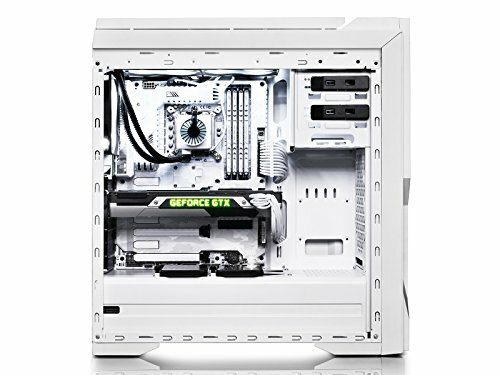 Overall the quality is great and very good for the price and offer alot of cable management space. But... the screws and motherboard stand-off were bad...really..really..bad... and the fan controller makes a buzzing noise when set lower than High. Not sure if it's the fans of the fan controller but it's really weird. Solid Case with a lot of cable management space. Nice finish and the window dont easily scratch. 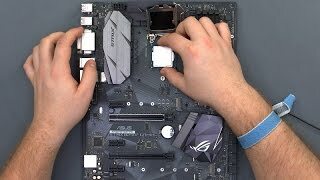 I recommend this as the "budget version" of NXZT S340. Very easy to build in, hate the blue LED case fan though, should just take it out but didnt want to spend the 10$ on another fan, hid the blue LED fan in the bottom of the front and the blue is barely visiable. Amazingly great case for the price. Great cable management, great aesthetics (other than the blue LED fan it comes with I just cut the wires to the LED lights not sure what they were thinking with blue lighting instead of white on a white case), great expand ability, and above all it's on the cheap! Got it for 46 bucks with a rebate and I would highly recommend this to anyone! Got it for under $70 CAD shipped from Newegg, which is the cheapest ATX case with a window, AND PSU shroud on the market. I mean the build quality isn't the best, as there are annoying gaps in the outer shell, but for $70 I couldn't go wrong. I am having issues with the case fan controller, on anything other than the highest speeds, my fans make a high pitched whining noise as low speeds. They're all brand new AF120's too. I'm too new to PC building to know why this is happening. Cons: acrylic not glass window but thats what youll get most cases in this price range so if you want tempered glass make sure the description says tempered glass and be prepared to pay a lil bit more:(, only 1 case fan comes preinstalled which really bummed me out i mean cmon deepcool your damn case is literally called deepcool. to me that says hey im a cool case and not just cool looking. it does have plent of room for alot more fans tho, i think it holds either 2 120mm fans in the front or 1 140mm and also on the top can go 2 either 120mm or 140mm fans if you dont install liquid cooling that is.no rubber grommets, my case did not come with instructions, and last but not least there are basically no filters on this case at all. the front kinda has some filtering but thats just cause the holse in the metal are almsot microscopic but im not sure if thats actually intended to be for filtering. Opinion: i personally like this case and would recommend it. most of the cons are things that youll have to pay alot more to get and almost all of the pros are things you just cant find in this price range. 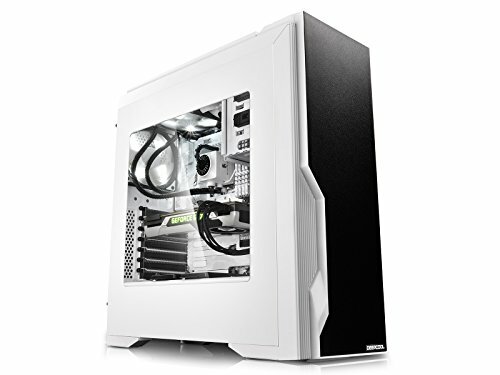 i think i read somewhere that deepcool was at the top of the top for cases in this price range and i can believe that. Not the easiest case to build in, but i've dealt with worse. Side panel window gets scratched too easily. The fact that you can remove the optical drive cage is a big plus.